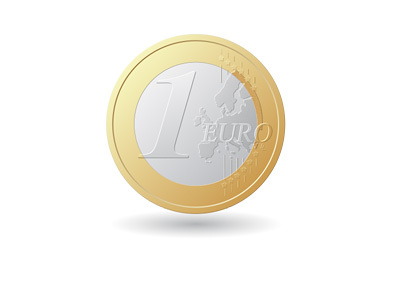 With the Euro hitting 11 year lows against the US dollar this past week, many analysts and investors are falling over themselves to lower their targets for the single currency. Earlier this week, the European Central Bank (ECB) revealed details of a vast bond buying program. This program, which should start later this year, will see the ECB purchase 60 billion EUR/month of "bonds issued by euro area governments, agencies and European institutions". There is no set exit point for this quantitative easing program - the ECB has just said that it will continue until "at least" September of 2016. The main goal of the quantitative easing program in the European Union is to avoid deflation and to keep inflation at a targeted level of 2%. After this move was announced, many brokerages were quick to cut their year-end estimates for the Euro against the US dollar. Morgan Stanley, for instance, cut their estimate from $1.12 to $1.05. Merrill Lynch cut their estimate from $1.20 to $1.10, while HSBC cut their year-end expectation from $1.15 to $1.09. With the European Union about to embark on a massive multi-year (at least) QE campaign and the United States likely about to entering an interest rate tightening phase, many people figure that it is just a matter of time before the Euro and USD reach parity. The last time that the Euro was even with the US Dollar was 2002 - over the past 13 years, the Euro has reached as high as 1.60 against the US dollar but is now within sight of parity. There are a number of prominent Euro bears right now and one thing that they all seem to agree on - the currency has quite a bit more space to fall.